Agent-to-agent referrals are a key part of every serious real estate agent’s business — especially as markets slow from peak activity and business slows for many. We surveyed more than 1,200 agents for our third annual referral report. This year, we dug a bit deeper into what agents look for in a referral partner, and added more detailed questions around referral networks and use of social media. We also spoke with agents about whether their market was showing signs of slowing and if so, what that means for the role referrals play in their business today and tomorrow. 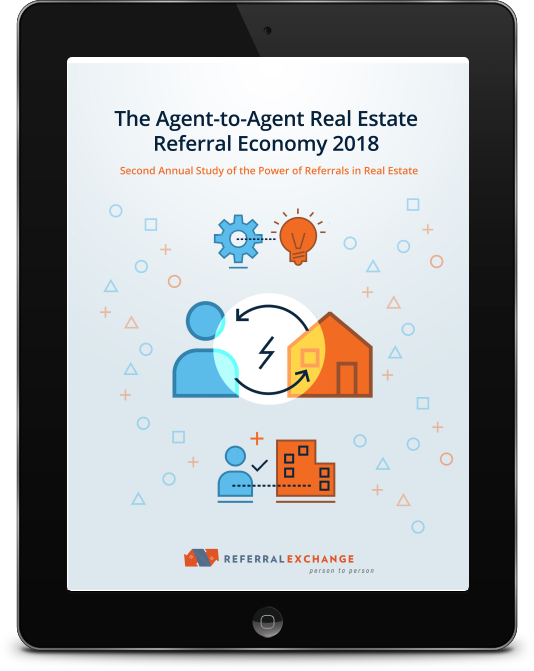 Get our third annual report, "Why Agent-to-Agent Referrals Are Key in 2019" for a full look. Click here for the 2018 report. Click here for the 2017 report.